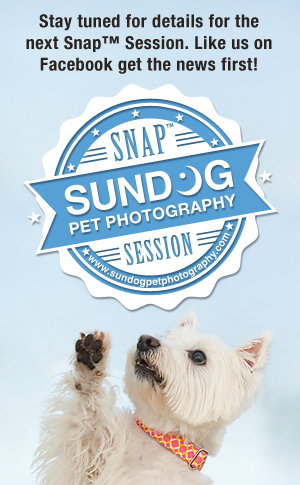 TBA: October 2015 SNAP SESSION Event: Our launch of Sundog Pet Photography Snap™ Session was such a success that we want to continue offering this opportunity! Snap™ Sessions offer a professional quality snapshot photo of your pet--in a snap! It’s perfect for those who simply want one professional quality 5”x7” pet photo, and a chance to get to meet Heidi the photographer and assistants. It’s also a wonderful opportunity for us to meet you and your pet! Snap™ Sessions are for pets only. Snap™ photos are not professionally edited to remove collars, ID tags, leashes or harnesses. 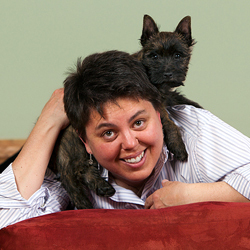 You may consider minimizing what the pet wears for these photo sessions. These sessions are offered on a limited basis and will be first come, first serve. Follow me on Facebook to catch the latest news and Snap™ Session announcements. 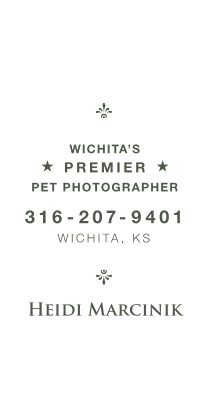 Sundog Pet Photography is owned by Heidi Marcinik. Pets are extraordinary gifts in our lives. Pet photography captures those special moments we have with our pets so we can celebrate, share, and preserve our time with them. Sundog Pet Photography sessions are done on-location and by appointment only. Please call 316-207-9401 to schedule an appointment and discuss pricing options. pets and people. Additional costs may apply. There is a minimum $200 print order. A la carte print photos start at $25. Advance payment is required to reserve your session time. Sessions outside a 20 mile radius from NE Wichita are subject to additional mileage charges.